The ultimate show of support for your rights! Defender members receive a select package of material including a special membership card, certificate, Defender lapel pin, cap and decal, the coveted Defender leather jacket and their name on the Defender Member plaque on display in the TSRA office. 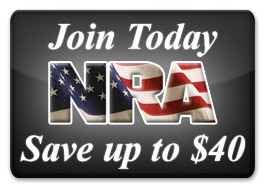 Defender members also receive a lifetime subscription to the TSRA Sportsman. Want to show your support with a lifetime of recognition as a proud “defender” but can’t swing the single payment? You can still do it … under the Conditional Payment Program. Over a 24-month period, you can help us strengthen the organization at a pace you can keep up with by making monthly ($83.33 month) or quarterly ($250.00) payments with your credit card. You will be billed automatically every month or every three months depending on the program you select below.